I love rugs! In my opinion, they make a space and when it is vintage, even better. 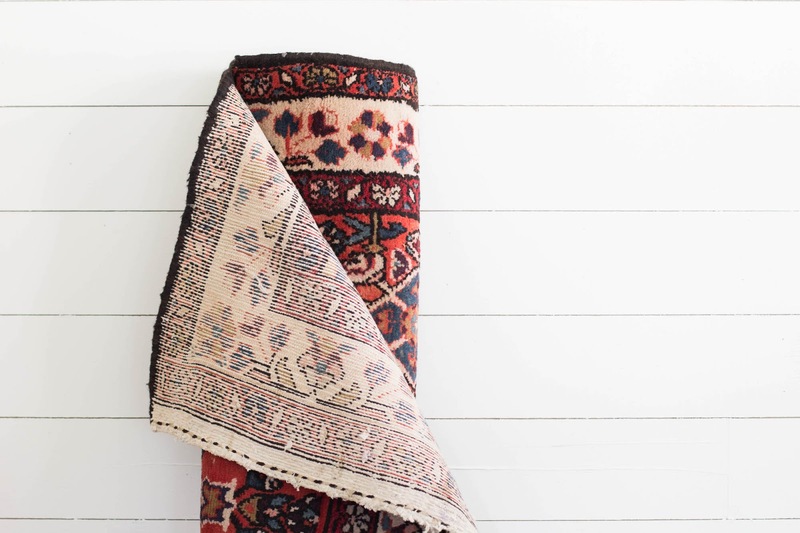 I have found two beautiful vintage rugs for our home and there is something about a handmade, intricate, vintage rug that can not compare to a new rug. There is a downside, vintage rugs are just that....vintage. They are old, have probably been passed down and seen a lot of love over the years. 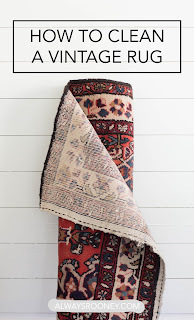 That is where this post comes in handy, I'm going to teach you how to clean a vintage rug so when you come across the most perfect rug the wear won't scare you away. Another note, I highly believe having a rug professionally cleaned is something that should be considered before you dive into cleaning your own vintage rug. Assess the scale of dirt on the rug from 1-10. If it is higher than an 7, I would take it to be professionally cleaned. I recently took a rug I found at a yard sale to get cleaned and it looked brand new afterwards, it is worth the investment! 1. Find a clean, flat area outside to work on. This can be your driveway or front porch just clean it off before rolling out your carpet. 2. Lay out your rug with the piling side down (the "top") and vacuum going along the weave first. Go back over the rug going against the weave but being careful not to catch the fringe if applicable. 3. Flip the rug over and repeat step #2. 4. 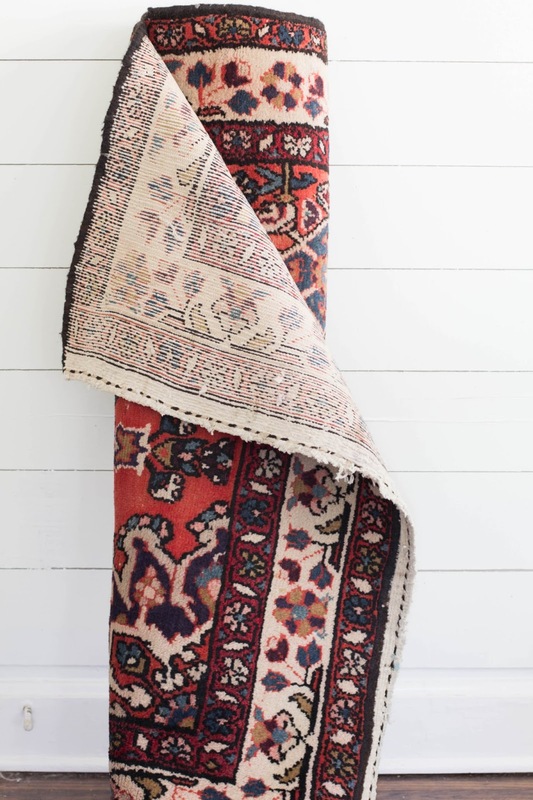 For vintage rugs that just needs to be spot cleaned, treat any spots with a vinegar mixture of 1/2 tsp of dishwashing liquid, 1/2 cup of white vinegar and 2 cups of water. Be careful scrubbing the mixture onto the area, gently massage it in and allow to soak for 5 minutes. 5. If you feel like your rug needs further cleaning, spray the entire rug with a water hose on both sides. 6. Fill a spray bottle with more vinegar mixture and spray thoroughly over the rug. Spray off the mixture with your water hose. 7. Finally, let the rug dry with a fan or two pointed at it to make sure there is no mildew from the water. You can also drape the rug over a porch rail or cement wall to air it out. 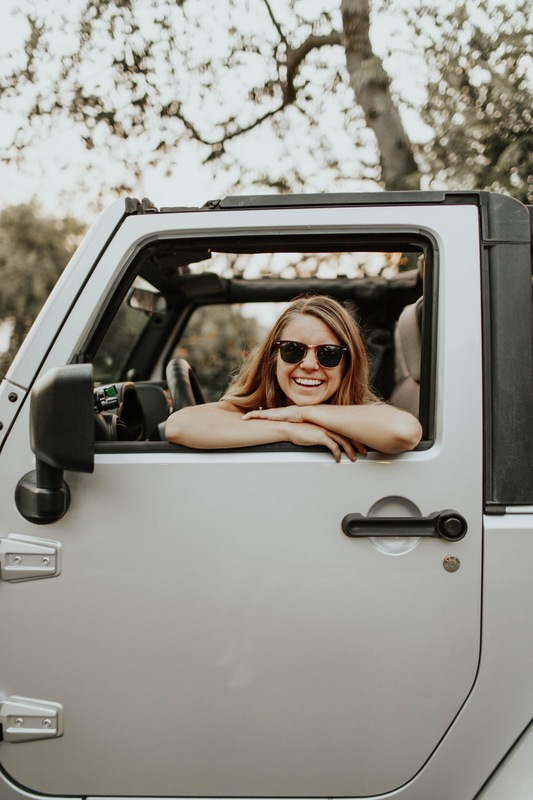 Once it is completely dry, bring your new-to-you rug inside! Looking for a vintage rug for your home? Check out my favorite rug sources! This looks just like one of my rugs! I love it. Don't you love old rugs!? You're welcome! !